It’s natural for people to want to celebrate festivals in a lavish manner. Staging parties and public gigs is rather tradition at this time of the year. For any Easter gig to be successful, you have to have means to get the word around. Brochures are fun and creative things. Of course you’d love to spend time making them from scratch, but do you have that much free time? You can also see Library Brochure Templates. Probably not. 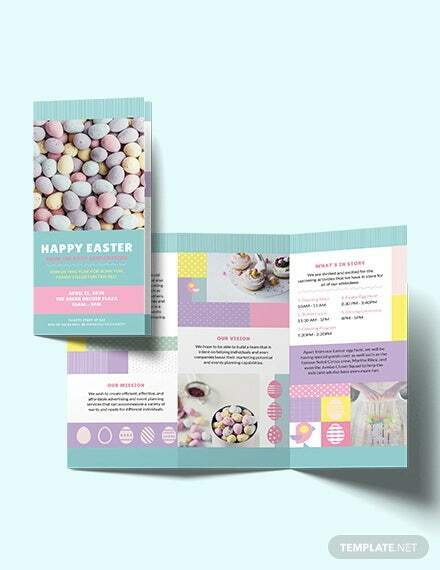 That’s why we’ve got for you here examples of some of the most Easter brochure templates. Available in PSD, PDF and Word formats, the templates are free to download and you can customize as you like! You can also see HD Brochure Templates. 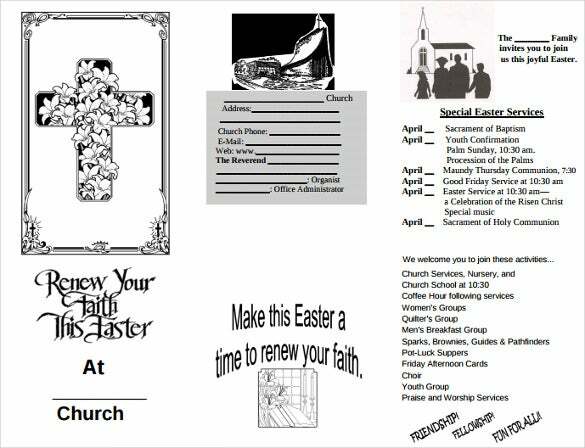 If you want to get religious easter flyer templates, you can try online resources. 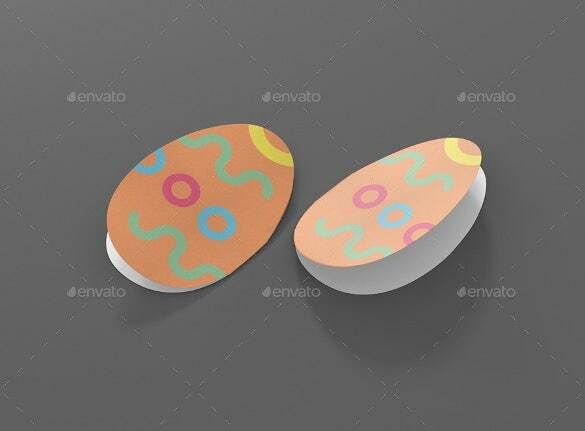 This is a fantastic template created to induce a feel of nostalgic Easter. You can quite easily download this special template from the link given below. 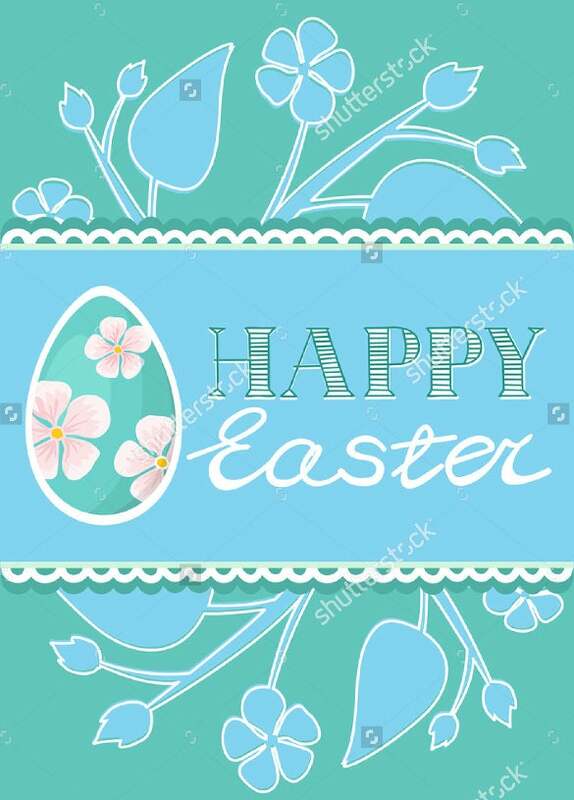 Now you can create your own special and happy Easter template, with the file given below. It can be easily edited, to accommodate your special quotes and wishes. 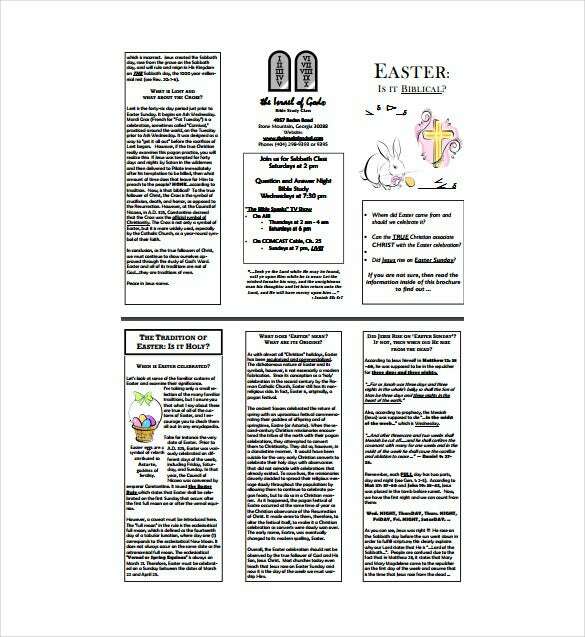 This is perhaps the best online Easter brochure template you can get. theisraelofgodatl.com This brochure is text oriented. 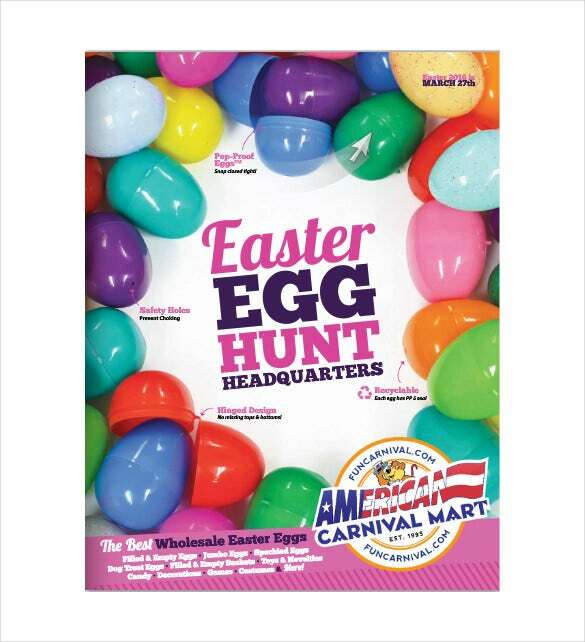 You will be able to add different fun details about Easter in this mega brochure. 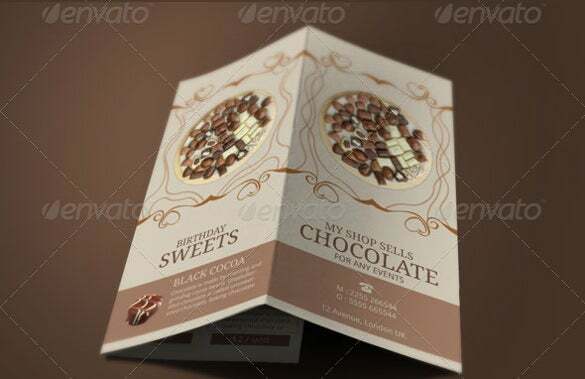 It also has few clip- art model images, to enhance the beauty of the file. 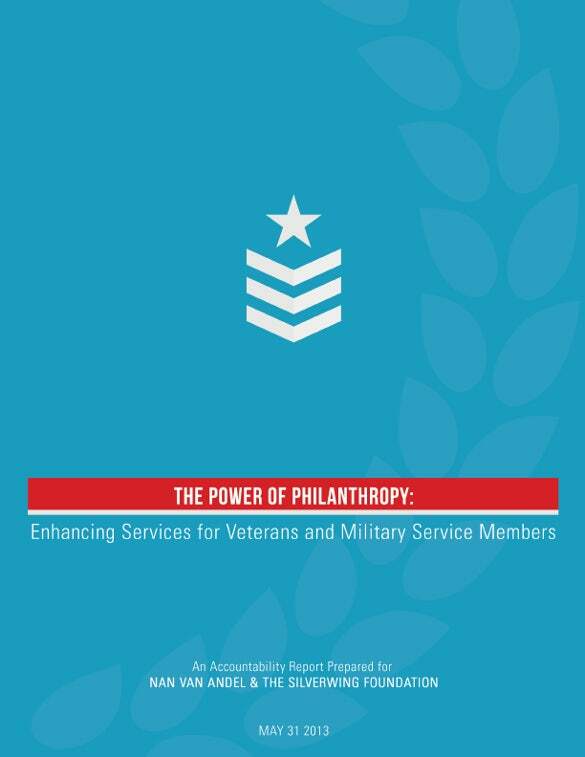 Download it from the below given link and enjoy. 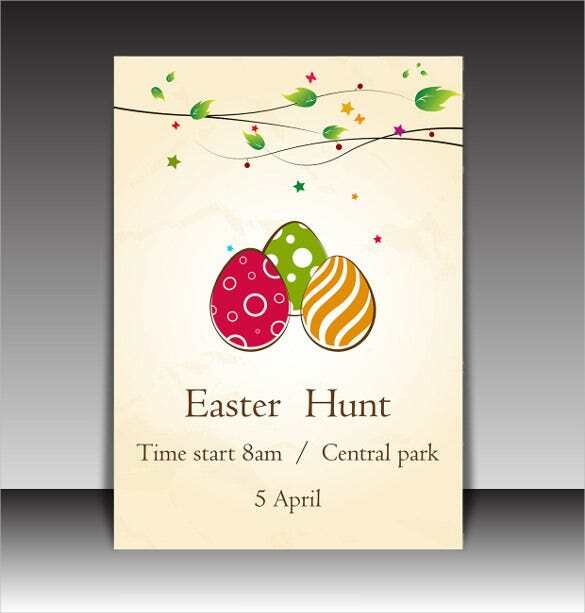 aledhughes.ie Finding a brochure template indesign for Easter is quite easy, with the help of online resources. This one is about Easter camps. 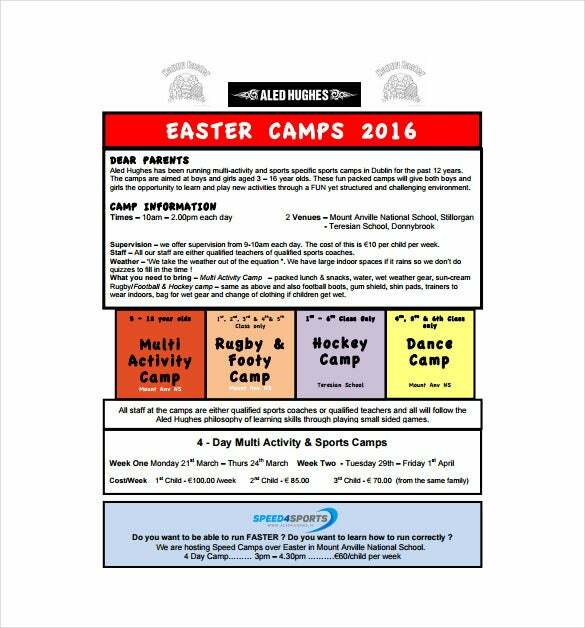 You can add the detailed description of your Easter camp plans as well as activity details in here. 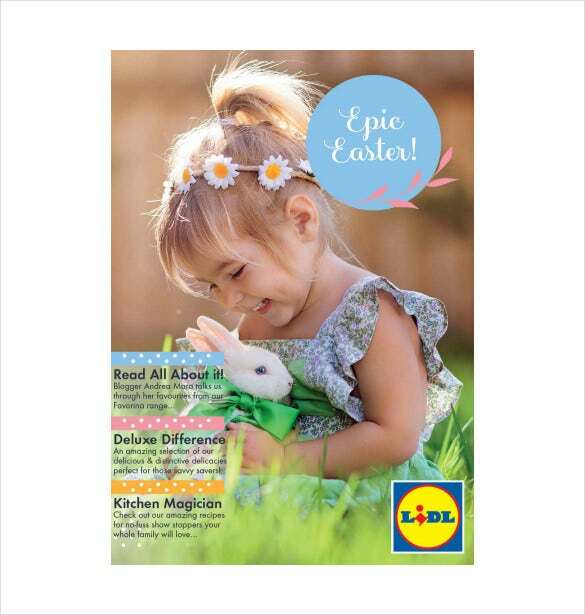 lidl-ni.co.uk You can download a high quality PDF file of this brochure from the below given link. This single page design is way better than a 3 fold brochure template, because it can easily convey matters quickly and sharply to viewers. 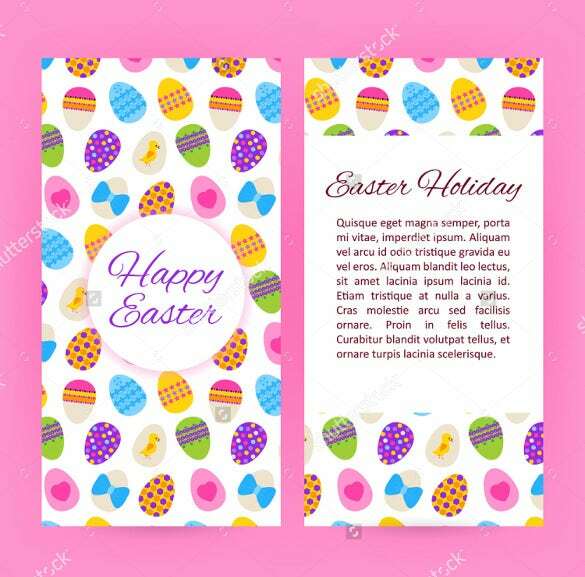 This is a colorful brochure template for Easter. 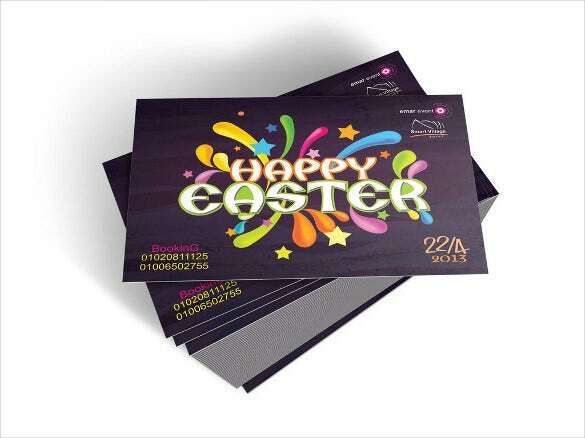 If you are planning to conduct a special event on Easter eve, you will need a brochure to invite people. This amazing design can easily attract people and ensure a high participation rate. catholicenquiry.com This is a three fold brochure template, specially designed for prayer groups and churches. 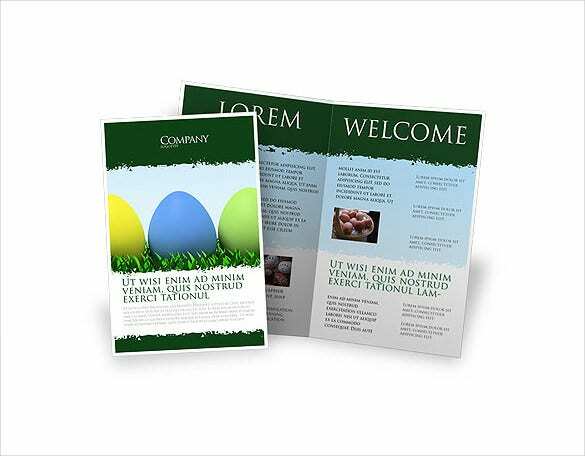 These brochure template pages can be edited according to your idea and program template. 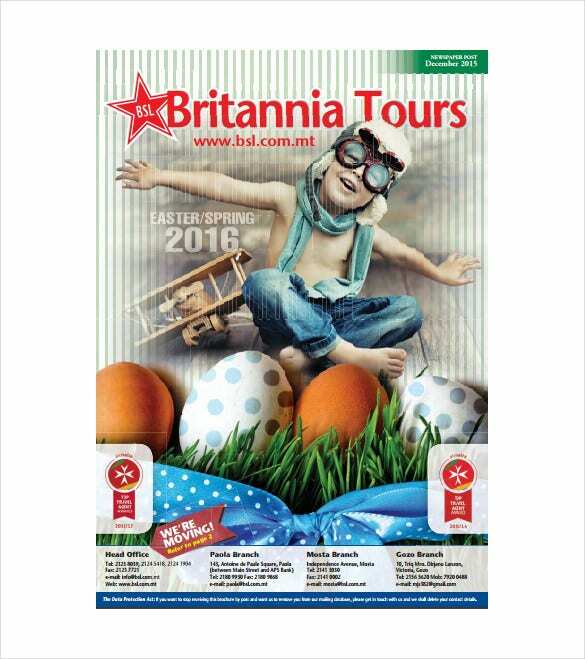 You can add special details about the Easter day in your brochure. Swiss chocolate is perhaps the sweetest and best chocolate available in the world today. 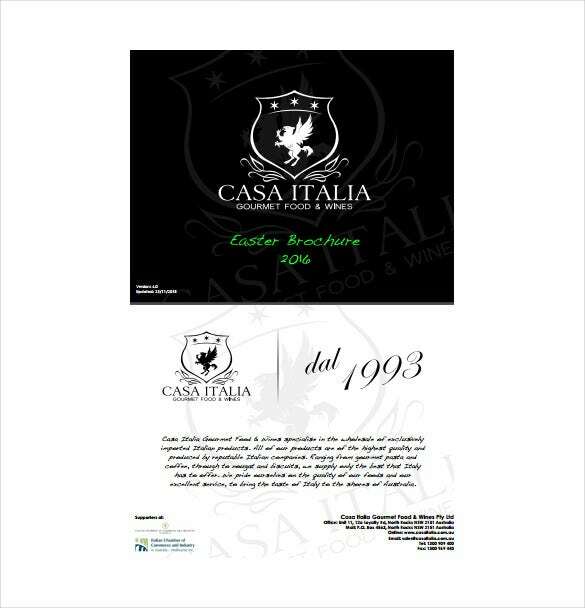 You can create a Swiss chocolate for Easter, and spread the word through a this beautiful brochure. This is very helpful for restaurant owners and hotels. bsl.com.mt The fun of Easter lies in Easter eggs. Nothing else can express the joy of Easter like eggs. 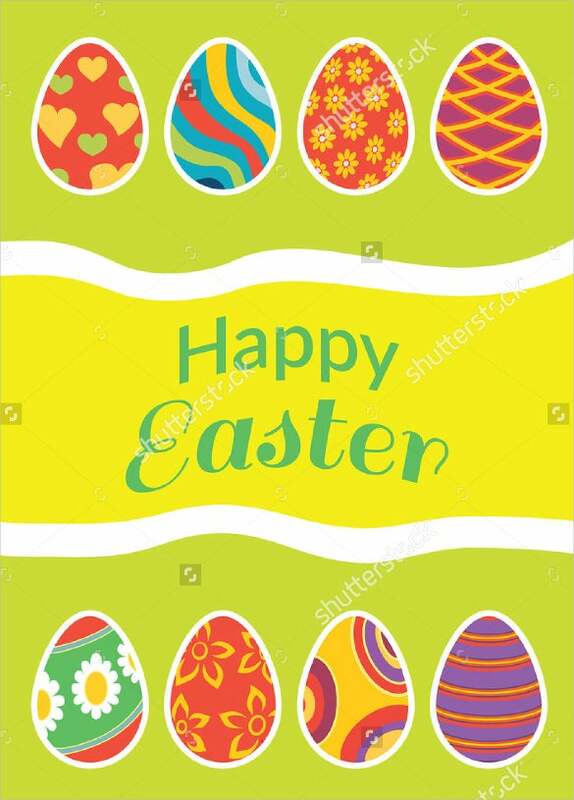 This brochure features a happy kid sitting on colorful Easter eggs. You can edit the contact details given below this wonderful image, and replace it with yours. 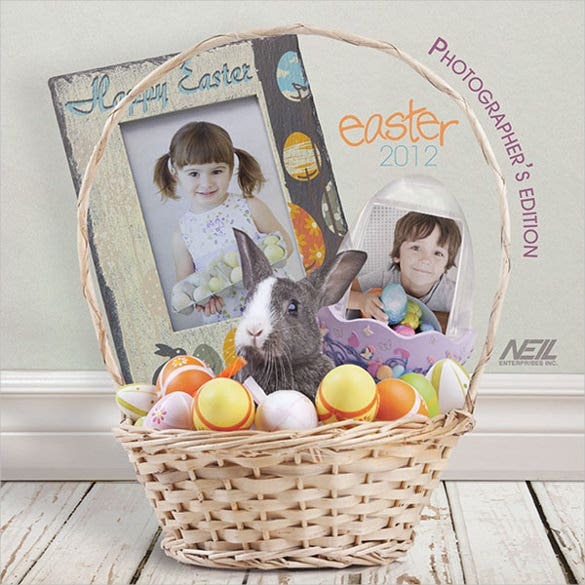 This brochure features two of the internationally recognized images of Easter – Easter bunny and Easter egg. This brochure template illustrator file can be downloaded in vector EPS format. Given below is the download link. Get it and try it. This is a colorful and energetic brochure designed for various purposes. 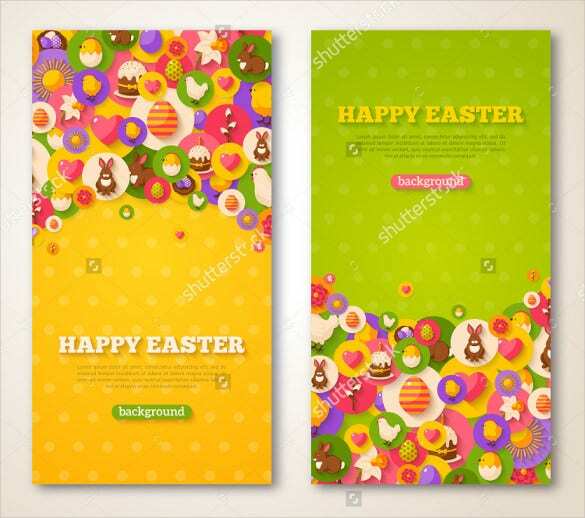 Here, you are actually getting a high quality image file with a stunning Easter theme. You can use it for invitations, flyers, email messages, or anything according to your requirement. 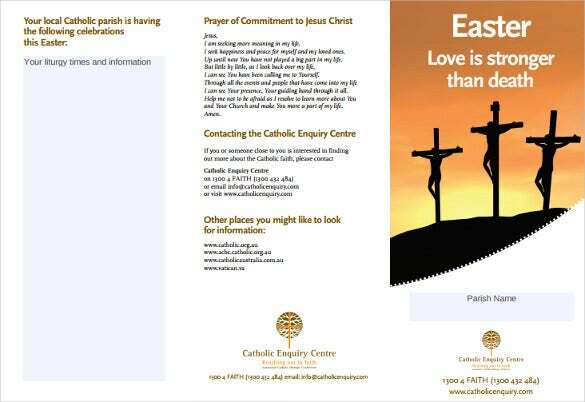 This is perhaps the most different and innovative Easter brochure you have ever seen. This brochure template will surely attract the attention of viewers. 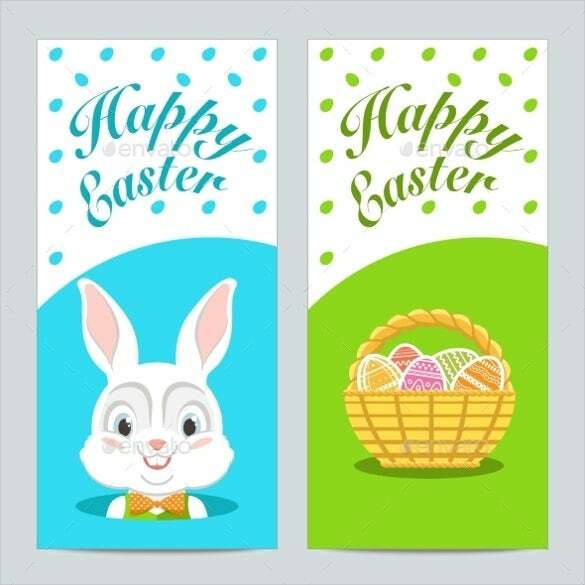 You can use this template to promote your brand or service during the season of Easter. This bifold brochure mockup is simply amazing. You can feel the elegance of the design just by looking at this template only once. This is very simple, yet unique and beautiful. There is no unnecessary clutter of colors and designs here. This purple color template is quite different and classy. You can feel the power and class of this template from first look itself. It is colorful, but the design is not overwhelming with colors. You can even customize the texts. This is a lively and colorful image. You can use this splendid brochure to wish your employees, business clients, as well as customers. This design is a splash of colors. 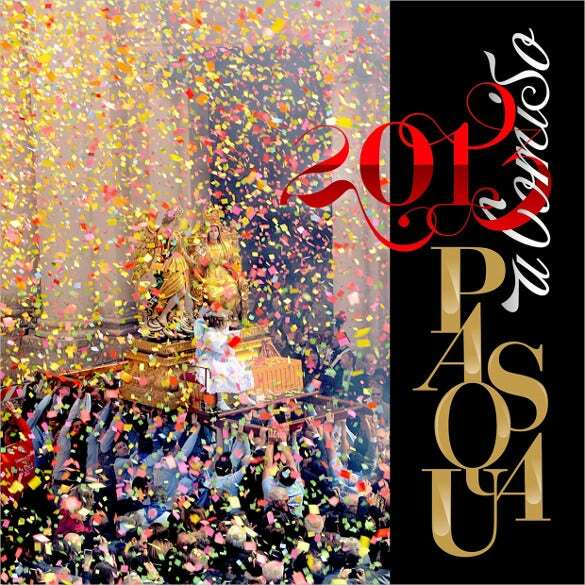 You will be able to feel the happiness and joy of the occasion , from the design.